Sunrise, FL – After winning four in a row, the Florida Panthers dropped their last two games, most likely closing the door for their playoff hopes. They got the win tonight, but it may be too little too late. With only eight games remaining in the 2018-19 season, the Panthers, with 78 points, find themselves seven points out of the final playoff spot, with Philadelphia, Columbus, and Montreal (holding final wildcard spot) standing in their way, none with games in hand. Florida could win the remainder of their games, elevating them to 94 points, and they would still need Montreal to gain no more than eight points in eight games. As long as Florida isn’t eliminated, that’s their reason to play, and last night, the Panthers did just that. 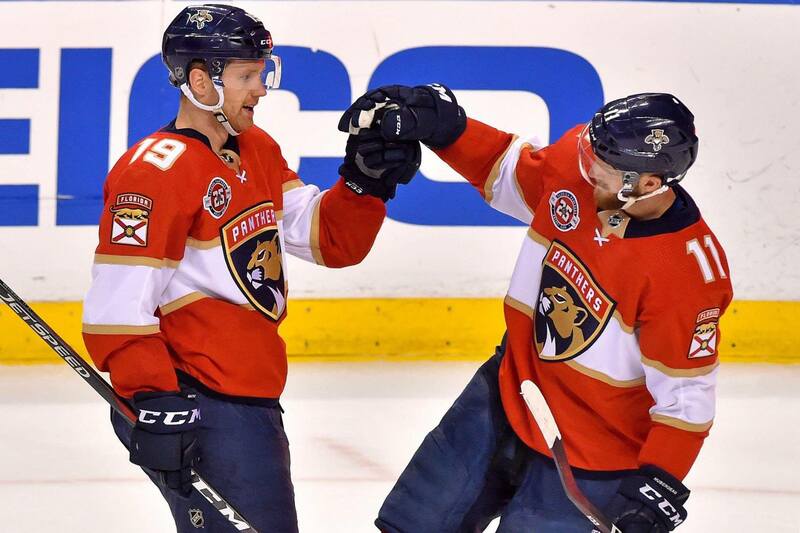 After getting off to a slow start, and going down early in the 8th minute, Captain Aleksander Barkov came through, scoring his 33rd of the season to knot it up in the final seconds of the 1st period. Midway through the 2nd period, Mike Hoffman impressed, netting a one-timer, going top shelf because that’s where the good stuff is. He gave the Panthers the lead with that one, and Florida never looked back. MacKenzie Weegar scored for the Panthers five minutes into the 3rd period and almost completed a rat trick had it not been for the referee’s calling goalie interference. According to Coach Bob Boughner, nobody knows what makes for a legit goalie interference anymore. The Coyotes got one back, but with seconds left in the game, Captain Barky scored on an empty net, further sticking the dagger into their gut and giving him the rat trick we were denied witnessing earlier. Florida defeated Arizona 4-2 on a night when Keith Yandle set a franchise record for most points in a single season (58) by a defenseman. These cats can score with the best of them, but it’s the defense stopping goals, as opposed to scoring them, that continues to be a thorn in the side of cat-critics everywhere. The Panthers allow more goals (242) than they score (237), and they’re top 10 in the NHL in scoring. We’ve all seen crazier things happen. Didn’t Cardi B win a Grammy this year? Therefore I won’t count them out just yet. Maybe this is the low before the Grammy, our “dancing on a poll” phase if you will. Anything’s possible.